"Anyone who is Black should care about Haiti." -Professor Nikongo BaNikongo, Ph.D. Divisive, ugly and flat out racist, the anti-immigrant rhetoric and policies that currently exist in the Dominican Republic are the stuff that Trump’s wet dreams are made of – and one professor at Howard has had enough. Last month, Howard University African American Studies Professor Nikongo BaNikongo, Ph.D., filed a lawsuit in the International Criminal Court (ICC), located in Hague, Netherlands, on behalf of Haitian sugar cane-cutters in the Dominican Republic who have been denied residency for themselves and their children born in the country. In recent years, controversial court rulings have caused hundreds of thousands of Dominicans of Haitian descent to be stripped of their citizenship and their basic civil rights. The decision has prompted an outcry from human rights groups and calls to boycott Dominican tourism, but Dr. BaNikongo believes Haitians need more than just a travel boycott to get the justice they deserve. In an exclusive interview with theGrio, BaNikongo spoke about what he hopes to accomplish with the lawsuit, why African Americans in the U.S. should be paying closer attention to this issue and what the story of Haiti can teach us all about the steep price of freedom and pro-Blackness. With tensions riding high on domestic soil, many Americans aren’t necessarily concerned with the atrocities pervading foreign countries, especially not while Donald Trump is wreaking havoc in their own backyards. But the professor thinks that mindset is not only narrow-minded, but also dangerous. While we are witnessing the absurd demonization of immigrant people under the Trump Administration today, BaNikongo wants us all to understand this kind of behavior already exists in other countries around the world, particularly in the Latin American and Caribbean nations right next to us. For several generations Haitians have worked on sugar cane plantations, known as bateys, in the Dominican Republic. Over time, Haitian families have given birth to children born in the Dominican Republic and built lives there much in the same vein as immigrants do in America. However, unlike the United States, Dominican officials have declared that the offspring of Haitian-born parents cannot be considered citizens on the Dominican Republic, despite being born there. And the reason why is both simple, and ugly. In September 2013, the country’s Constitutional Court ruled to retroactively deny any Dominican citizenship to anyone born after 1929 without at least one parent of Dominican descent. 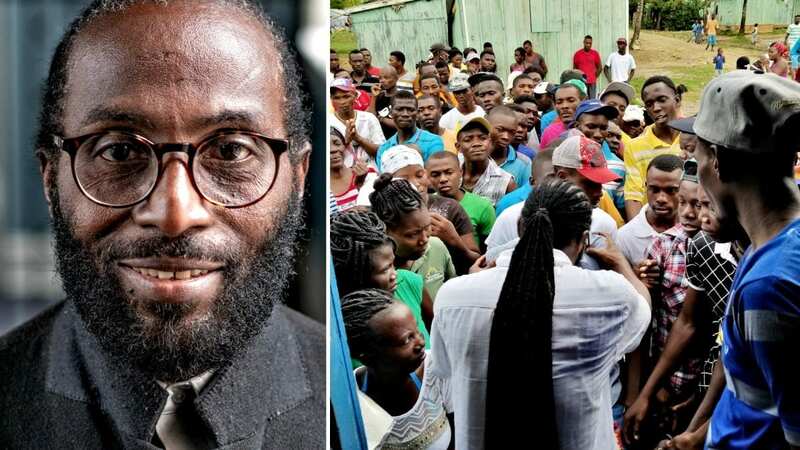 This move means that the DR now has a huge population (an estimated 250,000 people) who are considered “illegal citizens” even though they were previously considered law abiding citizens who had contributed to the country. To add insult to injury, BaNikongo says the government has yet to provide a reasonable way for people of Haitian lineage to respond to this ruling and establish residency in the Dominican Republic. This arbitrary and blatantly unjust move to suddenly make what is considered the Blackest group in the country illegal, with no reasonable justification as to why, amounts to one thing: good old fashioned ethnic cleansing. As non-citizens, Haitian workers now lack the rights to healthcare, and can’t even do basic things they used to do like opening up a bank account or seeking proper education for their children. Dr. BaNikongo with a group of Haitian sugar cane workers in the Dominican Republic. In 2015 the head of the nation’s immigration agency, Army Gen. Ruben Paulino confirmed that his forces would begin patrolling residential areas known for having a high population of migrants and round them up in deportation sweeps that mirror what ICE has recently started doing under the Trump administration. While the Haitians are being rounded up like cattle in the streets, the same way propaganda was used in Nazi Germany to sway public sentiment, hate filled anti-Haitian, anti-Black rhetoric is also being played on the radio to dissuade anyone from feeling compassion towards them. “The influx from our poorer neighbor is overwhelming. They steal jobs. They are dangerous. They take advantage of our laws.” – These are the types of messages that Dominicans are hearing in the mainstream day in and day out until it feels acceptable and normalized to turn a blind eye to the situation. It’s gotten so bad that people with overtly Black features have been harassed, murdered and even lynched. Haitian bodies are left swinging from trees as a warning to the rest of the community. Americans are no strangers to lynchings and have seen this tactic used especially during slavery and the Jim Crow era. But in our country it’s often white people lynching Black people. In the Dominican Republic however, it is Black people who’ve been taught not to see themselves as Black, attacking those who could very well share the same bloodline. “These people are being exploited for no other reason than their ethnic composition,” explains BaNikongo. Historically speaking, this isn’t the first time that the Dominican Republic has attempted an ethnic cleansing. In 1937, Dominican dictator Rafael Trujillo ordered millions of Haitians to be massacred, based on their pronunciation of perejil, the Spanish word for parsley. If you rolled your r’s the white Spanish way you were fine, but if you pronounced your r’s the French way, they took that to mean you had Haitian lineage and deserved death. Thanks to what amounts to the Latin American version of “the brown paper bag test“, an estimated 20,000 people died in the Parsley Massacre, many of them Dominican families. In fact, the greatest irony in all of this is that Haitian and Dominican blood is so intermixed, that despite being fair skinned, Trujillo himself was widely reported to have a Haitian grandmother. A fact he often tried to disguise. THIS is why so many Dominicans to this day have a hard time identifying as Black people despite what they see in the mirror. Their great, great, grandparents were literally forbidden from identifying that way.Trujillo repeatedly told his countrymen that anything Black was inferior, and since Haitians are notoriously pro-Black that made anti-Haitian sentiments and widespread hate crimes against them easier to accept. “I suppose when one hears ‘crimes against humanity’ what comes to mind immediately is massacre and genocide like the kind that we saw in Rwanda, Liberia, Sierra Leone or Holocaust, Germany,” admits BaNikongo. “But in reality a crime against humanity is defined as a widespread and systematic attack against a civilian population, and that’s exactly what we have here! In the case of Haitians in the Dominican Republic, what we see is an attempt at deportation and forceable transfer to a territory that for many of them is unfamiliar and unknown. 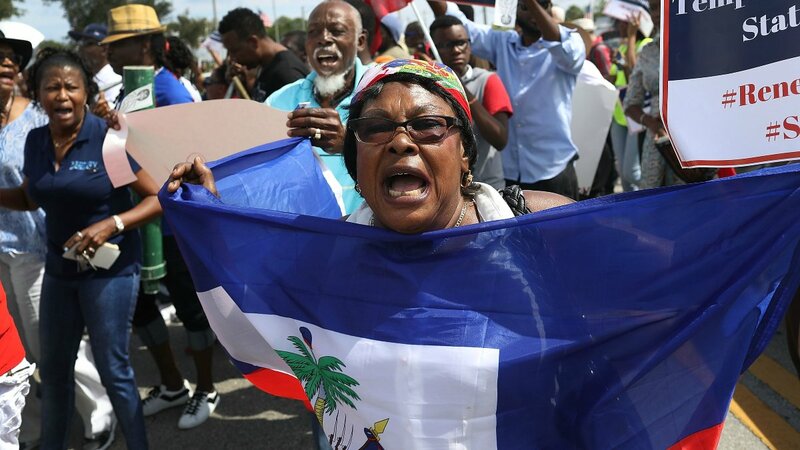 What we see is a persecution of Haitians based solely due to their race and ethnic background. And there is a constant de-prioritization of their residency rights and flat out denial of their citizenship rights. While some may call the lawsuit a long shot, BaNikongo has a clear vision of the impact this case could have even outside of the court room. Systemic racism can often feel like an overwhelming thing to combat but BaNikongo wants readers to know that there are realistic and tangible ways they can help make things better. “We want to increase the campaign of pressure by sending messages to the Dominican embassy here in Washington, D.C. in the very same way that we did in the 1990s against South Africa. Because this is where it started,” he points out. “The campaign of African Americans in the United States is in large measure what brought an end to apartheid to South Africa. The international pressure from here in the U.S. can literally have a life-changing impact on policies that oppress Black people everywhere.